This entry was posted on Monday, February 15th, 2010 at 14:21 and is filed under Uncategorized. You can follow any responses to this entry through the RSS 2.0 feed. You can leave a response, or trackback from your own site. Really interesting post. It must be quite a fine line with the slope of the front of the PCB – imagine if you had a very low wafer followed by a very high one and then another low one (although the height difference is constrained somewhat by design) – it would be hard for the sensor to pick this up without the slope being very steep. Another question – how many cars actually have a single sided wafer locks? I’m guessing with careful processing and inserting the sensor in both directions it could just about deal with this. But even then, at least in the UK, double sided wafer locks are really not very common. The place that the device is contacting the wafers is not where the key would make contact. 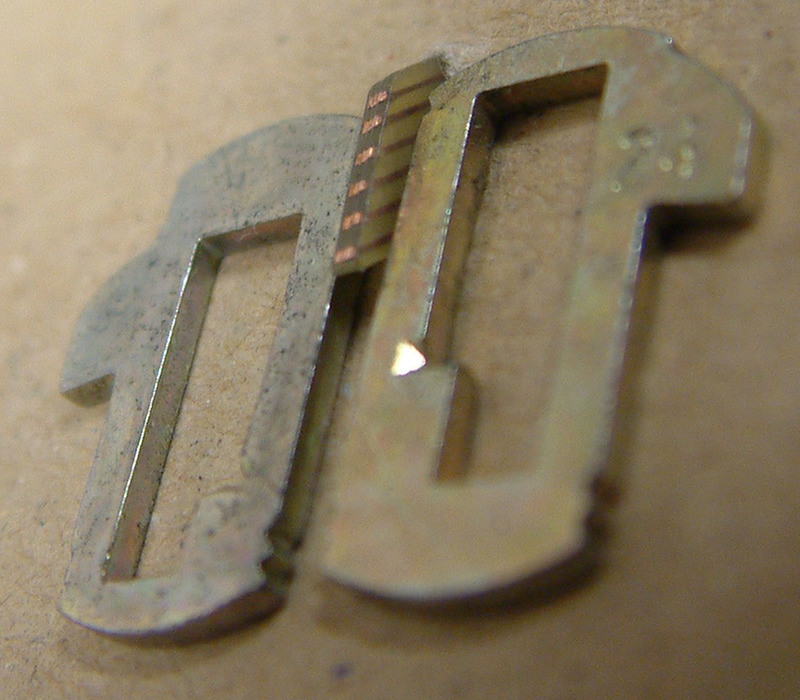 In these locks (sidewinder locks) the key makes contact with the little step on the side of the wafer. Is it supposed to be used like this , or is this just to show how it works ? 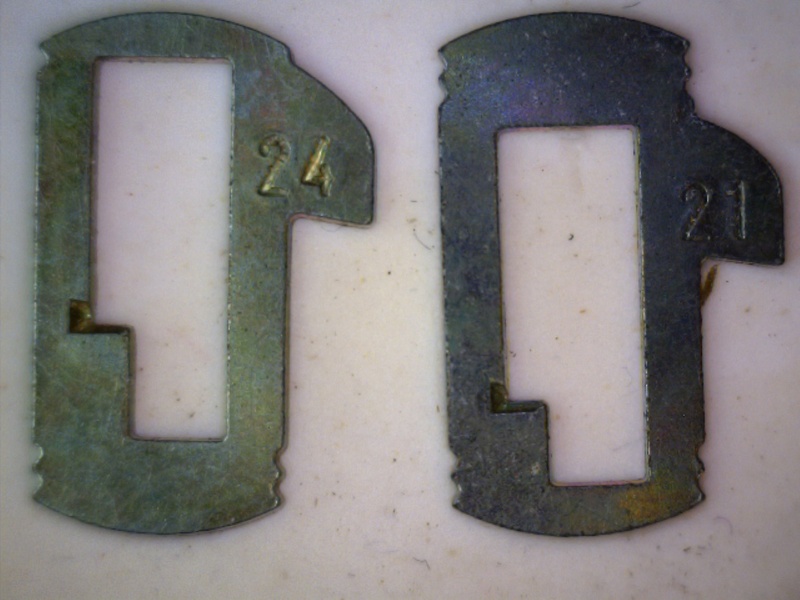 Cybergibbons: If I remember correct, the demo was given on a double sided lock. The tool was inserted both on the top and the bottom, but I can’t be 100% sure. Wolf: Good observation 🙂 And you are right, the wafers are from a sidewinder lock and are originally touched by the key on the side of the wafer. I only had these wafers available when shooting the images and used them as a proof of concept. 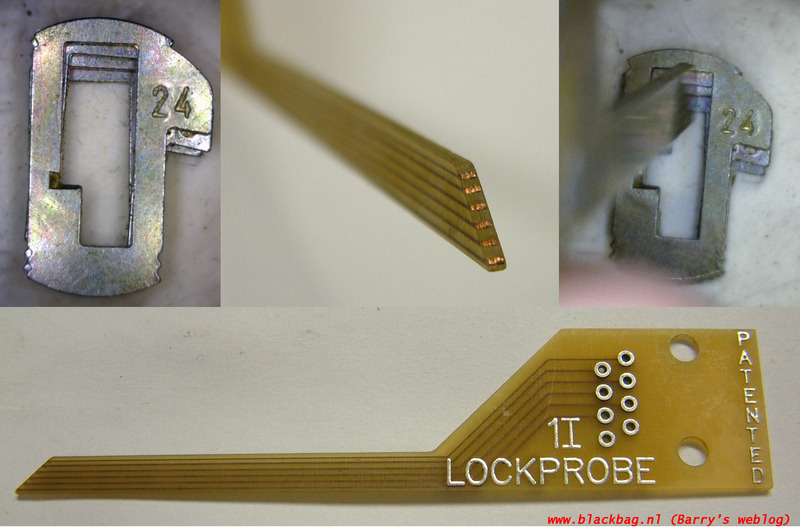 On the wafers the lockprobe is used on, the measurement is done like in the images. It seems to be quite a solid patent and would probably cover devices operating using a fundamentally similar principle. I wonder if “The Impressioner” will infringe on the patent or use an altogether different concept? All the other patents seem to be quite fanciful in concept and of limited utility. 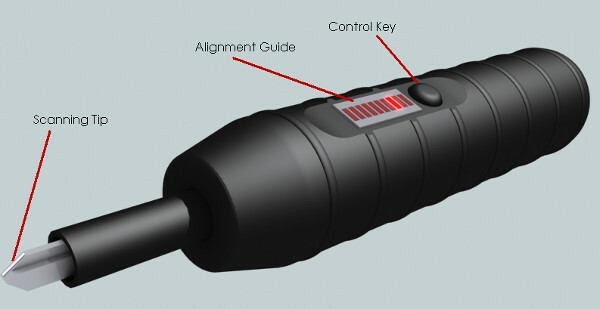 As the tool enters the lock, the tip comes into contact with the first wafer, which makes contact with the tip of the key, giving an indication of height, as you understand. 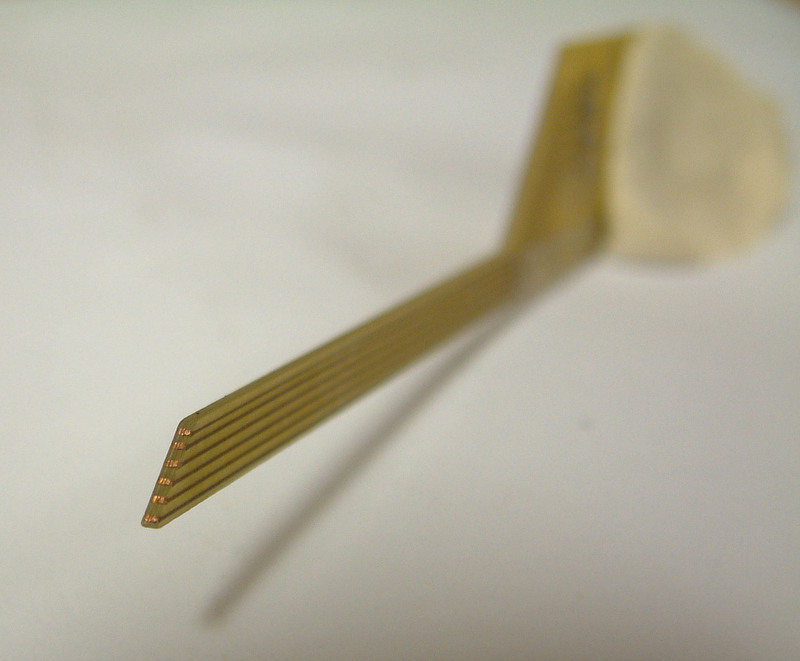 Then, as the probe is pushed further into the lock, the first wafer has been lifted up the sloping ‘reading surface’ of the probe, onto the blade of the probe key. The tip of the probe now encounters and ‘reads’ the next wafer – this second wafer is ‘exposed’ since the first wafer has been lifted out of the way. As already stated above, if the lock has wafers at the top and bottom, the probe would then be inserted ‘upside down’ to read the wafers on the other side of the keyway. Thanks mercurial, now its pretty obvious 😉 , but the only inconvenient would be the spacing in between the waffers. elphreaker – you’re welcome. At first glance I had similar thoughts, but then visualised the probe moving into the lock and grasped the concept. Spacing shouldn’t be inconvenient – even if the wafers are very close together. If the spacing between wafers is close enough, for example with a very high first wafer, and a very low second wafer, the probe’s tip might already be touching the second wafer when it makes first contact with the first wafer. This means when wafers are very closely spaced, a wafer deeper in the lock may make contact with the probe’s tip before the probe’s tip has made contact with the wafer in front of it. In this case, the software should be able to ‘notice’ that the contact made by the second wafer moves up tip of the probe as the probe is inserted further into the lock, and starts interacting with the next wafers. It should thus be able to determine the order of the wafers the probe is reading, even in instances where the probe does not touch the wafers in sequence. I hope I explained that with some degree of clarity. After writing that, it just occurred to me that these spacing issues are much simpler if you just read the signal from the probe as you WITHRDAW the probe from the lock, rather than when inserting it!! (of course there is no harm looking at both signals). Hehe, its pretty clear, I thought it would be easier if you pulled out instead of inserting it, anyhow you could get some doble lectures. « Lockcon Turkey canceled …. Entries (RSS) and Comments (RSS). 54 queries. 0.478 seconds.